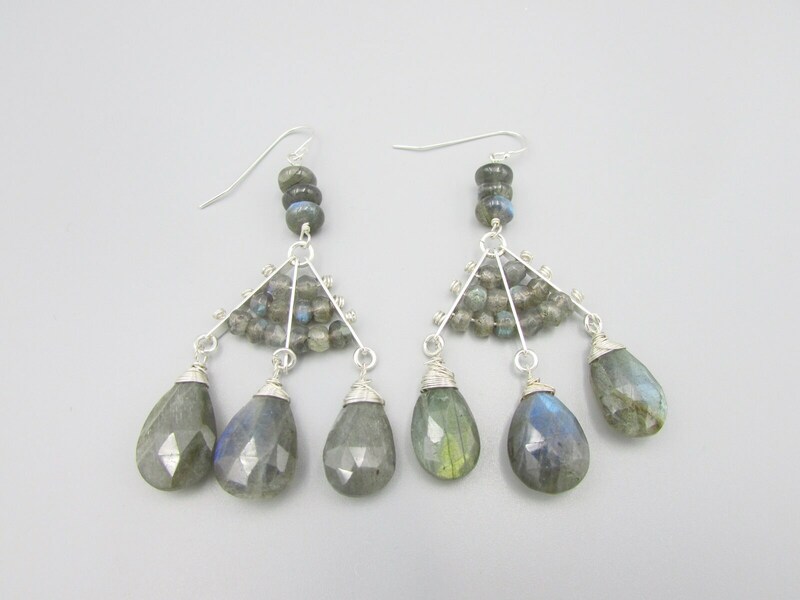 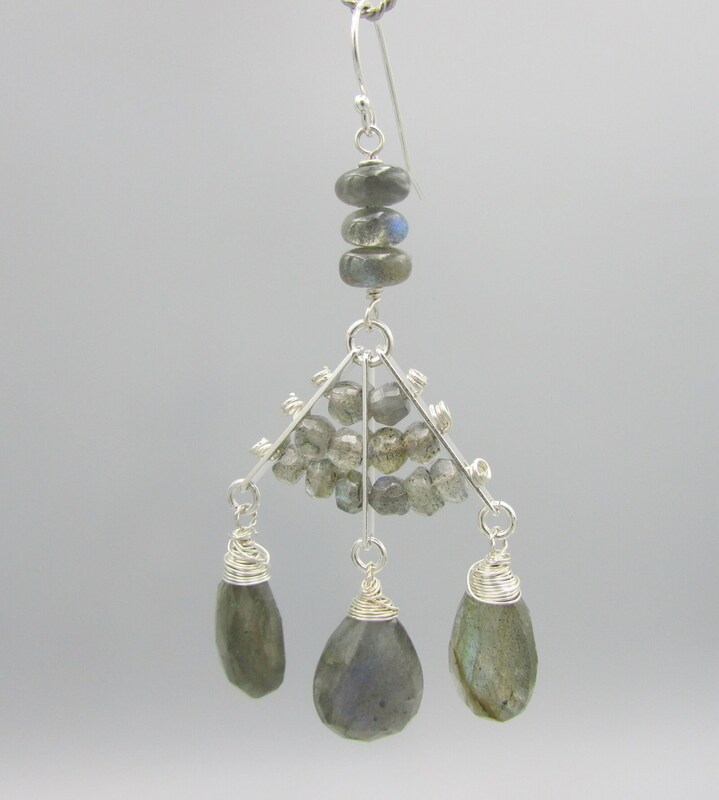 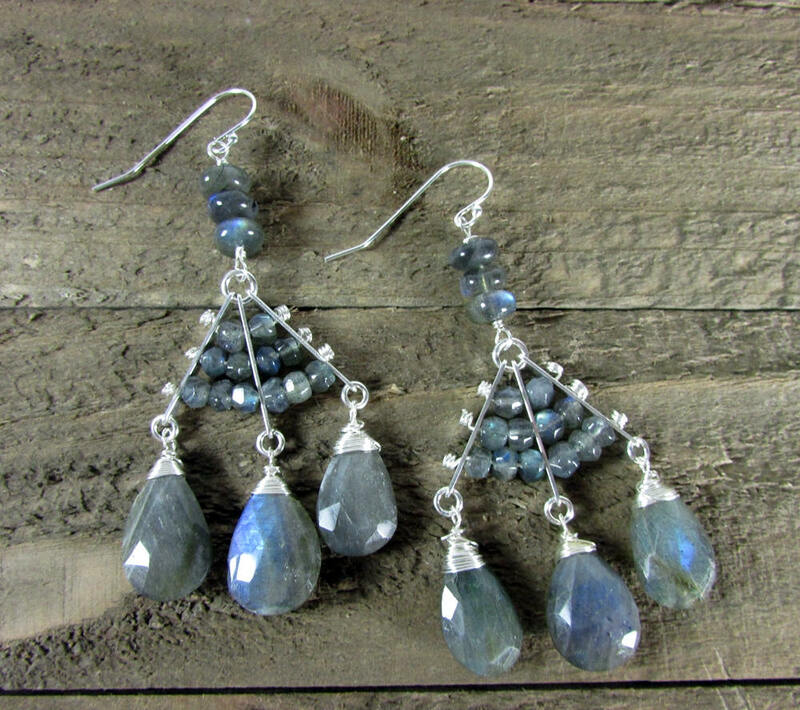 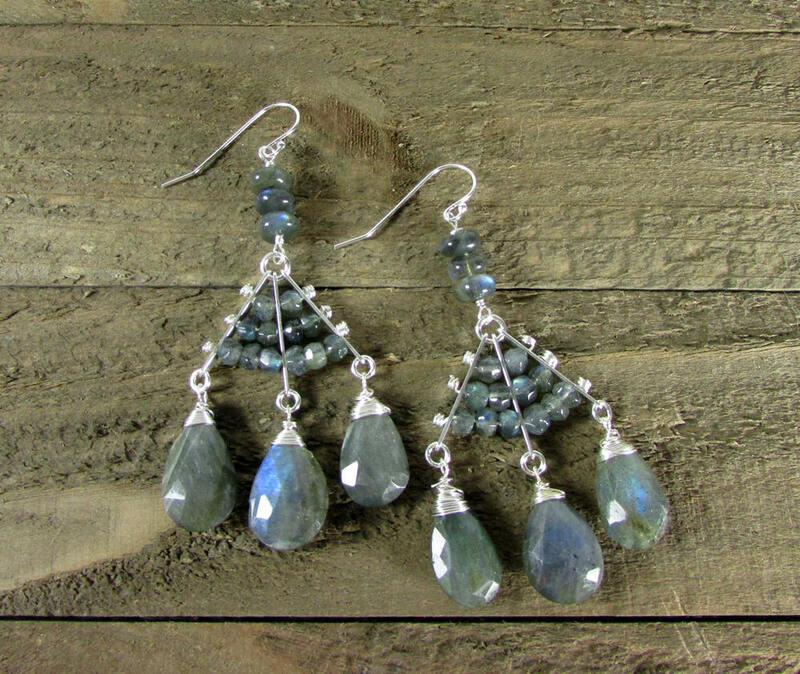 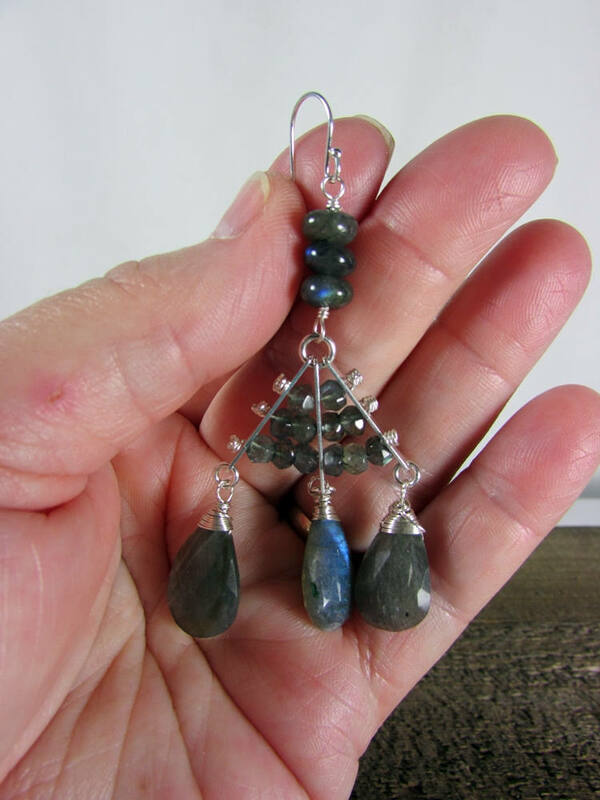 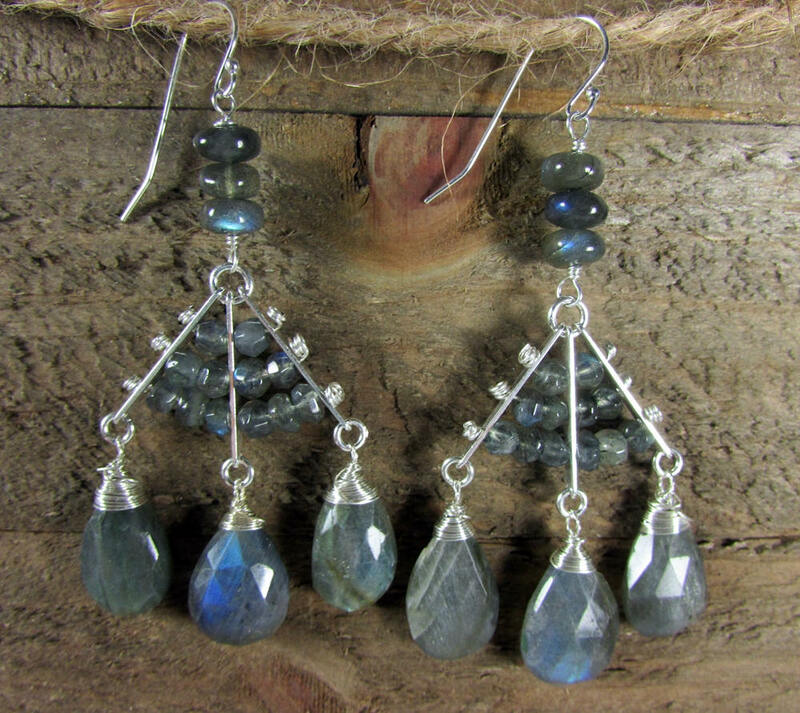 A stunning Labradorite earring made with sterling silver, 4mm labradorite hand cut rondells, 8mm smooth round labradorite, and large teardrop labradorite gemstones. 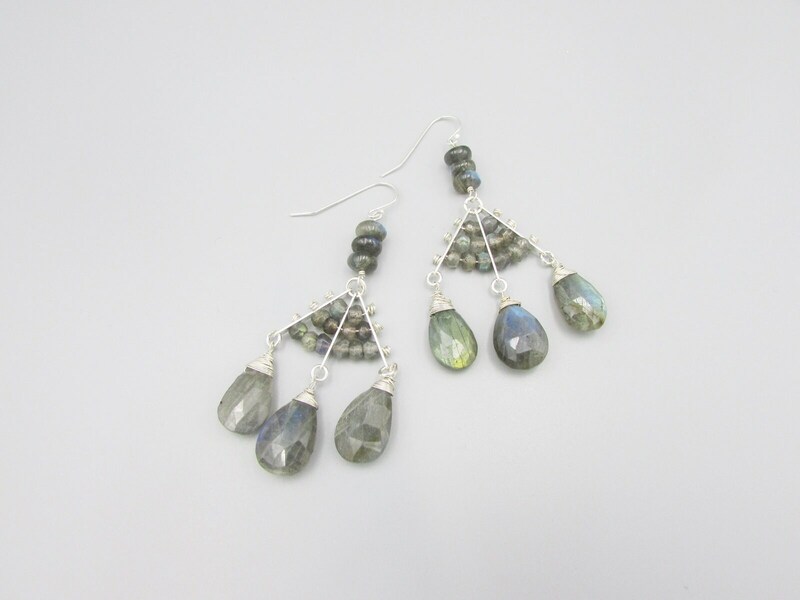 The teardrop stones are about 20mm x 15mm wire wrapped in sterling silver. 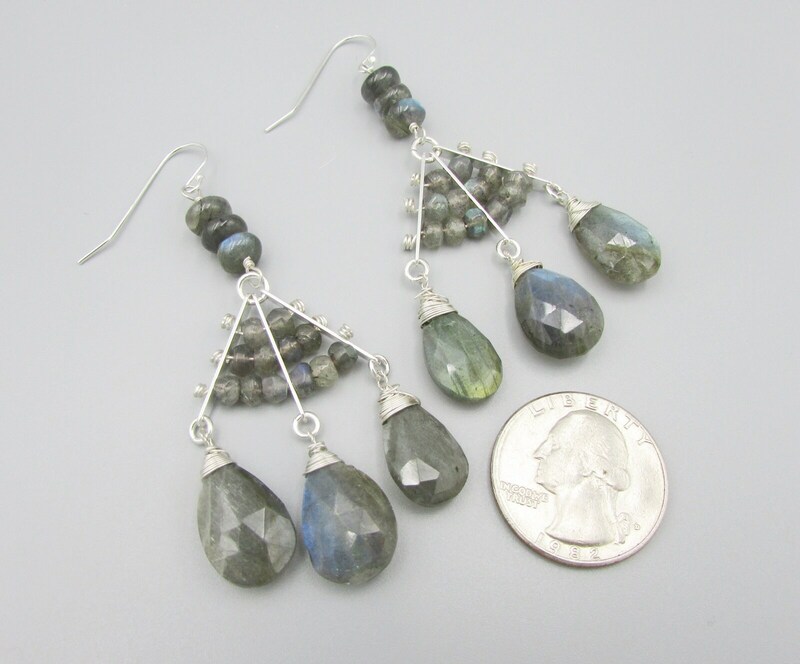 The length is 3 inches long and the width is 1 inch wide. 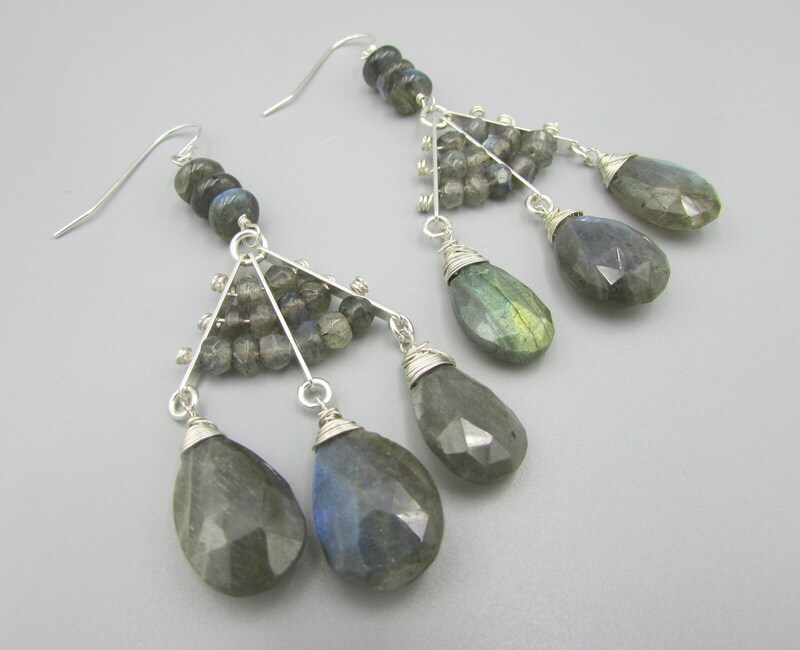 Labradorite is a member of the Feldspar family and is treasured for its remarkable play of color, known as labradorescence. 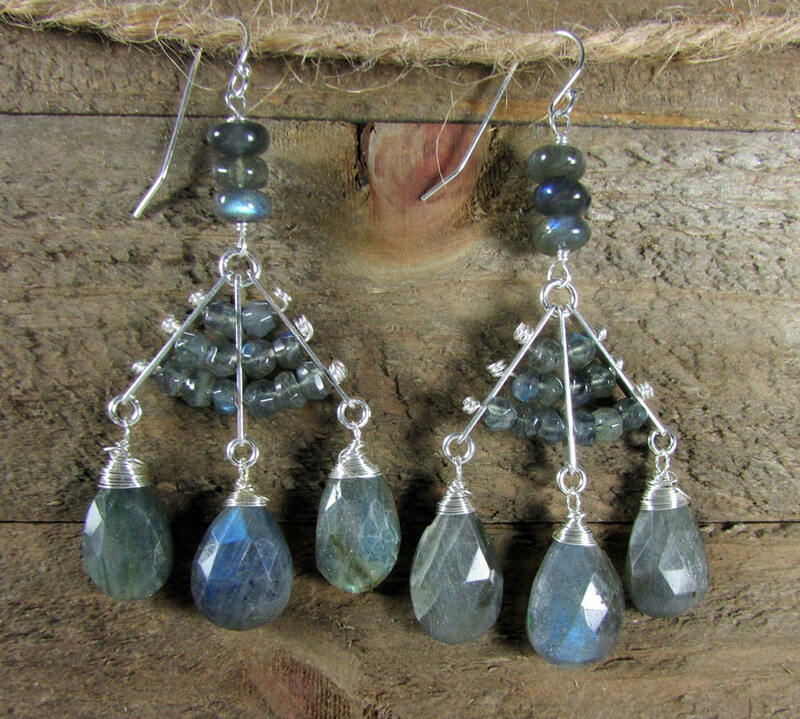 The stone, usually gray-green, dark gray, black or grayish-white, is composed in aggregate layers that refract light as iridescent flashes of peacock blue, gold, pale green, or coppery red.